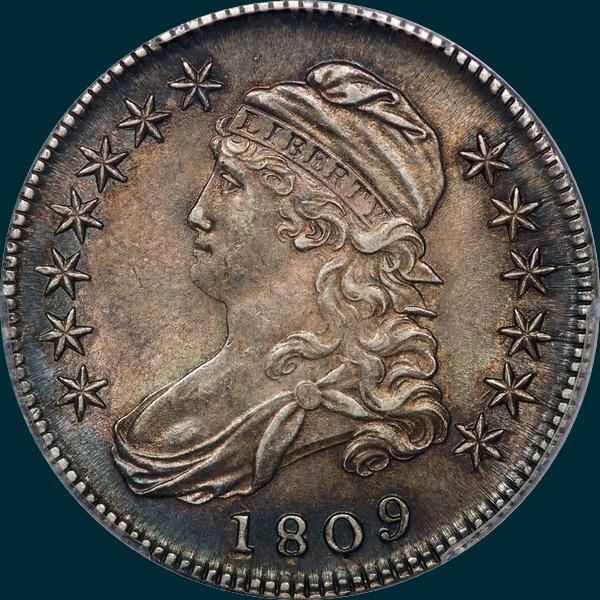 This die marriage ranks #3 on my R2 tough list with only 9 problem free AU coins appearing the last 10 years. The strike weakness on this one is the norm, making it less of a choice for type sets. 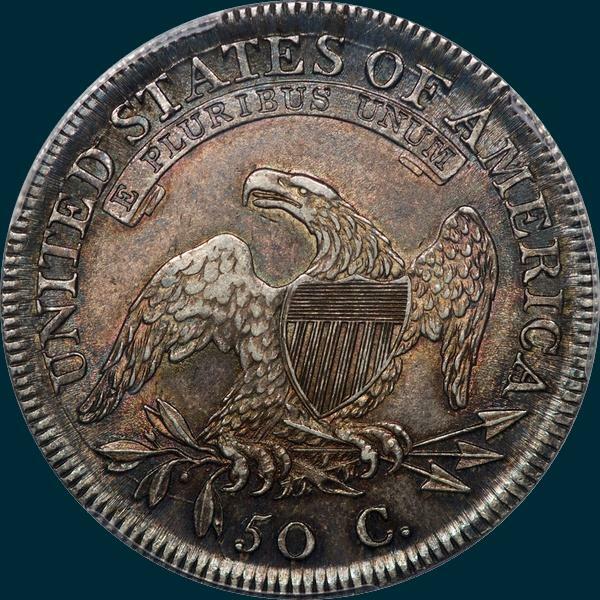 There may be an MS coin out there, but for the most part XF and below examples are what collectors are most likely to find. Reverse-50 C. is a shade less than 2 1/2 mm. and well centered, with large 0 and well formed 5. A to arrohead is 3/4 mm. A straight die line from end of olive leaf next to 5, to milling below. A die crack from olive leaves circles left to the top of UNITED STATES OF A. Arrowheads are wekk separated. Left side of T over right side if I.